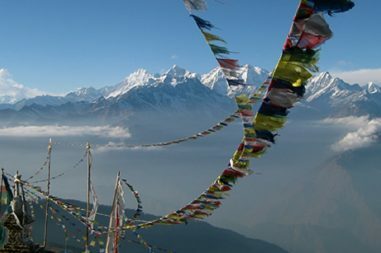 The trek comprises Langtang National Park; the trek is a wonderful chance to encounter some rare birds and animals. The red Panda which is a unique feature of any Langtang region trek can be your reward if lucky. Helambu Trek is an opportunity to experience mountains, rivers, waterfalls, glaciers, forests, meadows all at once. 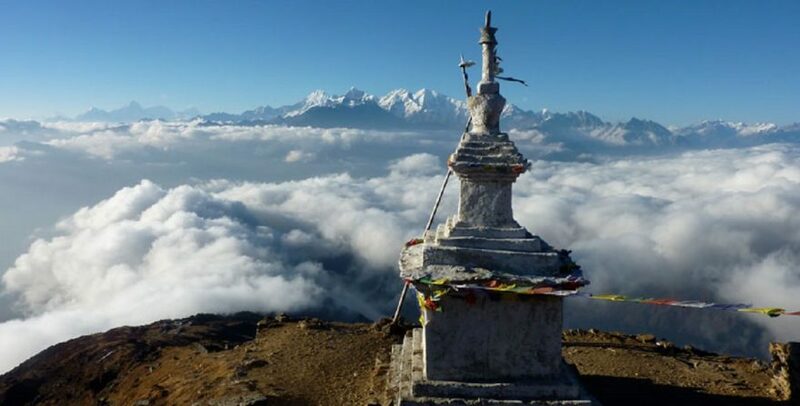 Helambu Trek can be a best option for those who would love to taste both natural and cultural combination of Nepal. In Addition, in an easy way in a short span of time. With the highest point of this trek being Tharepati Pass at 3,650m with its magnificent views of Dorje Lakpa, Gauri Shankar, Langsisa and other snow-capped mountains and with the warmer climate; grassy meadows; atmospheric forests; torrential rivers and friendly people, this is a stunning trek for those with less time or do not wish to trek at high altitudes. Therefore, Bharal Adventure offers you this amazing Helambu Trek package just in 8 days. We assure you best hospitality and quality services. After breakfast, about 8:00 o’clock we drive to Sundarijal (1350m.) by private vehicle about one hour and trek to Chisapani (2300m.) which takes about four hours. The unpaved road from Kathmandu turns into a trail near a small hydroelectric plant. The trail will enter through the Shivapuri Watershed and Wildlife Reserve. The first settlement we will come across is Mulkharka with Tamang habitants. The route heads down the ridge through a forest of oaks and rhododendron to Chisapani. Overnight at Guesthouse, breakfast, lunch and dinner included. After breakfast trek to Kutumsang which takes about seven hours. The trail continues to drop from Chisapani on a good, sometimes level, trail that crosses meadow and fields. You will then descend through Pathi Bhanjyang till Gul Bhanjyang. 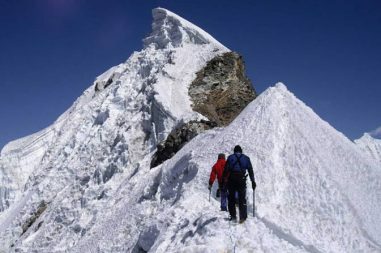 The trail climbs the ridge from Gul Bhanjyang to another pass at 2620m. The meadow makes a good camping spot, its downhill to Kutumsang at 2470m, in a saddle atop the ridge. Overnight at Guesthouse, breakfast, lunch and dinner included. After breakfast trek to Tharipati which takes about five hours. The trek continues north up the Yurin Danda ridge and affords views of the peaks. The trail climbs above Kutumsang on a steep, eroded trail mostly through fir and rhododendron forest where there are no permanent settlements. Now you will be in Tharipati. Overnight at Guesthouse, breakfast, lunch and dinner included. After breakfast trek to Tarkeghyang and it takes about six hours. The early part of the trek descends until you cross the stream named as Melamchi. 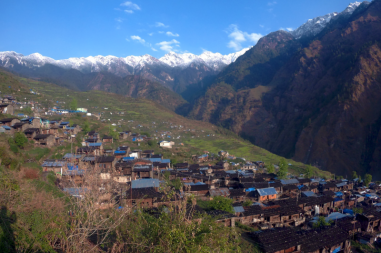 Now you trek gently up to Tarkeghyang passing through Sherpa settlements. Tarkeghyang is a beautiful Sherpa village with one of the oldest and biggest monasteries. Tarkeghyang, also known as Helambu is named after the Helmu caste. Overnight at Guesthouse, breakfast, lunch and dinner included. After breakfast trek to Shermathang which takes about four hours. This day the trail is quite easier through flat land with beautiful forests on the way. You trek on crossing some small streams on the way. There is situated a beautiful village on the half way to Shermathang. To add your joy, Shermathang is another pretty Sherpa village where you can visit many ancient monasteries. Overnight at Guesthouse, breakfast, lunch and dinner included. Short walk down to Melamchi Pul Bazaar with many Sherpa village and catch transport to Kathmandu. Congratulations on the completion of your trek. Overnight at hotel, breakfast and lunch included.